You must make reservations at least 5 minutes in advance of the time at Baro. King St West & Spadina Ave.
Street Parking is available on King St. West and ranges from $6 - $20/hr. The closest Green P Parking lot is located at Spadina Ave. and Adelaide. We are located on the King West street car route and close to the intersection of Spadina Ave. and King West with a 2 min walk from the transit stop. Baro provides musical entertainment on our 2nd floor. For more information on event details and dates, dress code and guest list please visit www.barotoronto.com. 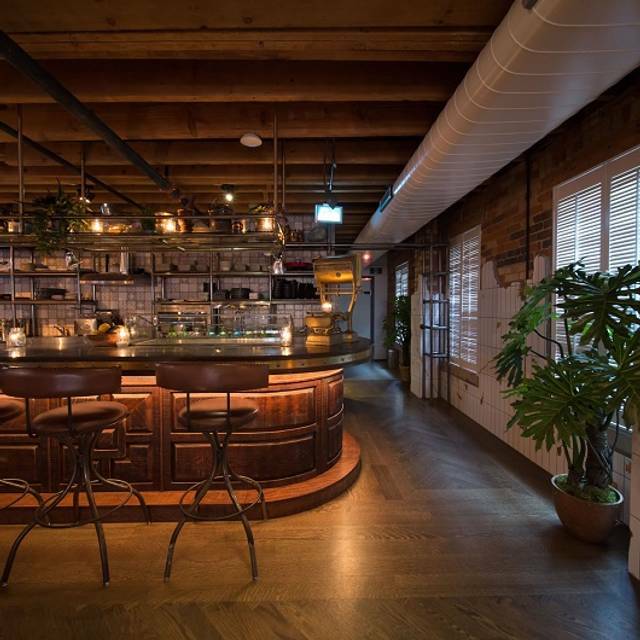 For all special event inquiries please email info@barotoronto.com. The Baro catering menu is influenced by Valdez fan favourites and features new dishes by the one and only Executive Chef Steven Gonzalez! 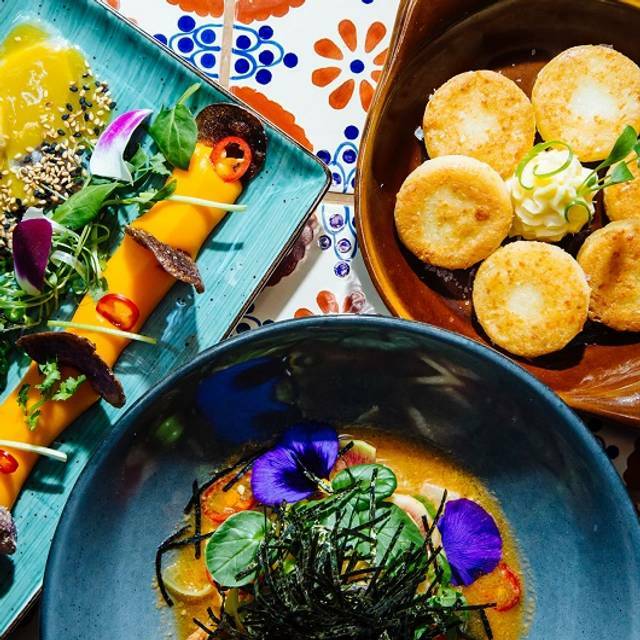 Chef Gonzalez has made it his mission to bring South America’s dynamic food culture to downtown Toronto delivering a vibrant mix of bold flavours and Latino street vibes. 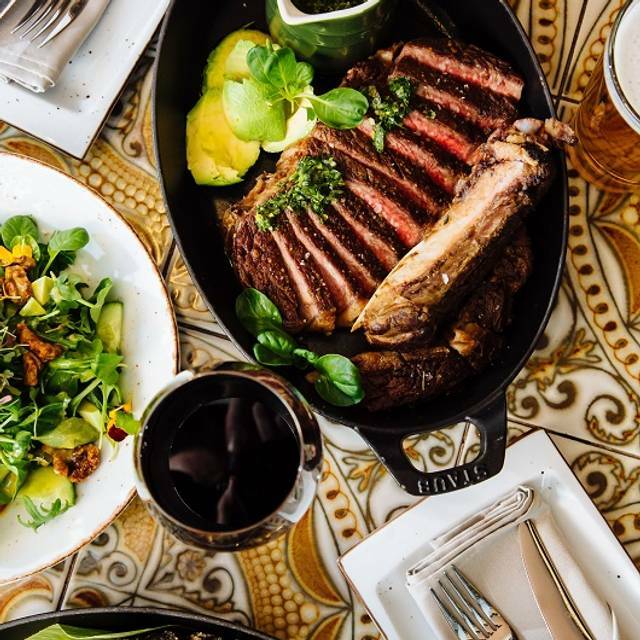 Chef Gonzalez brings an international twist, where traditional Latin culture and cuisine is reimagined with distinct modern flair, and becomes something entirely its own. Uno, Dos, Tres..Baro! 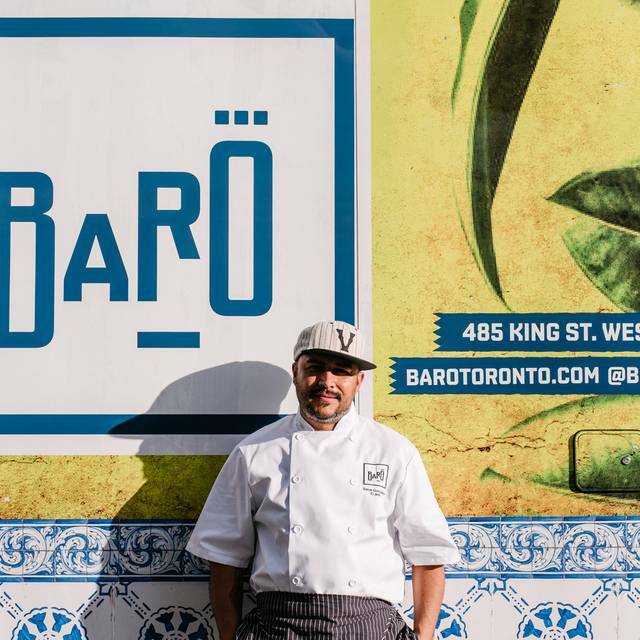 Derived from the Latin American slang word for “barrio” (meaning “neighbourhood”) we bring you our Baro, home of Chef Steve Gonzalez. 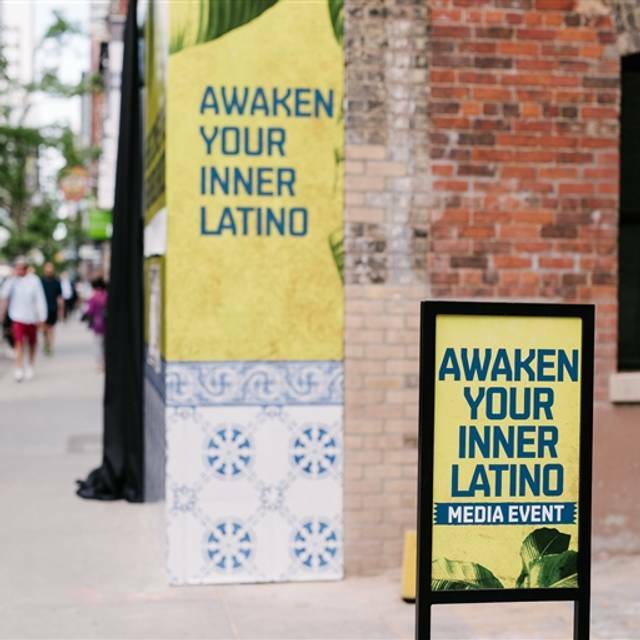 The Latin spirit is undeniably contagious. From the southern tips of Patagonia in Argentina and Chile, to the lively street cultures of Colombia, Uruguay and Brazil, the energy of its diverse people radiates throughout the cities. It livens the neighbourhood and awakens the Baros! 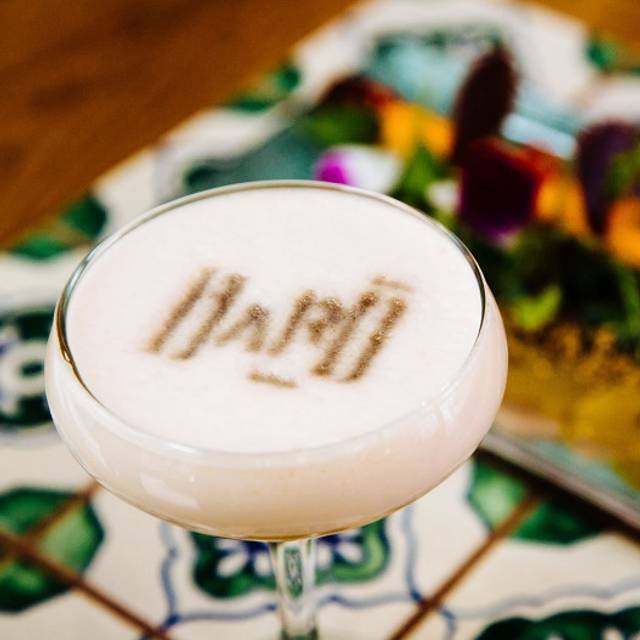 Baro is first and foremost a restaurant, showcasing an exceptional cocktail program and refined dishes along with fan favourites from Valdez. 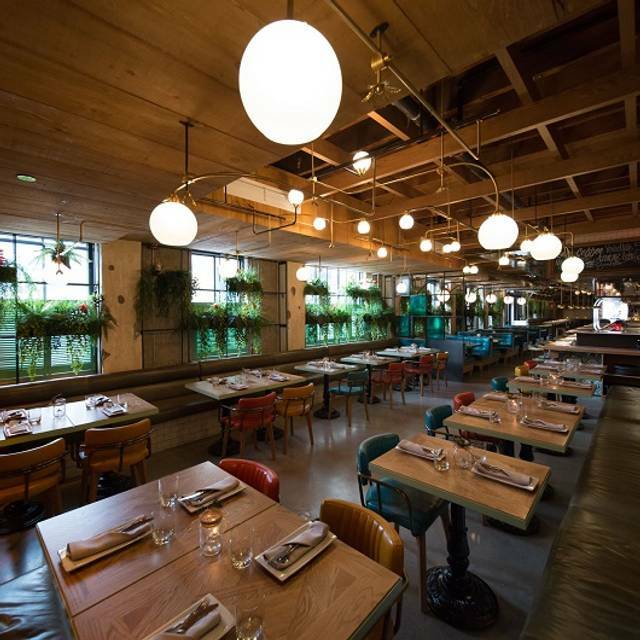 Chef Gonzalez has made it his mission to bring South America’s dynamic food culture to Toronto where traditional Latin culture and cuisine can be reimagined with distinct modern flair, and become something entirely its own. Baro will also feature a 2nd floor Raw Bar Lounge. To top things off, we created The Loft, a 3rd floor, 1,850 sq. ft. event space that we know you will love. Amazing food and the service is also exceptional! The servers always take the time to help you out with the menu if you need it and each dish is explained once it comes out. Don't leave without trying the duck enchiladas and the duck chaufa from their dinner menu! The food was really good, decoration also very nice. I can’t stop thinking about how good my meal tasted. Even the guacamole was probably the best I’ve ever eaten. I love the open concept style for kitchen. I’ll definitely be back so I can try more items on the menu. 10 out of 10! Loved the vibe of the place. Service was impeccable, right from greeters to servers to food runners. Based on our servers recommendations, four of us shared the four course chef tasting plate. Amazing flavour, quantity of food and value for money. I would totally recommend and will definitely be back. Food disappointingly lacks the expected captivating Latin flavours. Service was beyond slow despite a less than half full restaurant and a more than adequate number of staff on the floor. Food came out plate by plate with overly long lulls in between each dish. Drinks hit the table well after two staggered appetizers. Overall not impressed with brunch service. I love the energy of this restaurant ... however the food is always lack lustre. I think they’d do better with dishes that aren’t so busy and focus on flavours. The ceviches are way too acidic, the guacamole & salsa lack flavour. The Caribbean fish with coconut rice is like eating a coconut - the food needs refining. It’s not worth the prices. Go for the cocktails and the ambiance. Friendly service with great tasting food. Food is quite filling and worth every penny. Made a reservation for my birthday last night. The security guard at the front stopped us from entering in because my bf was dressed “too casual”. He was wearing a khaki pants with pockets and a pair of yeezys with a leather jacket. We have been to baro on numerous occasions and had no issues with our outfits. We saw many guys wearing sneakers (vans/converse/yeezys) and casual pants inside the restaurant. When we pointed them out, the security guard was very aggressive and even followed us to the restaurant to tell us if we don’t stop pointing out other guys wearing sneakers we will have to leave. (We pointed out two guys btw) Also, when is it ever ok to ID your reservation guests even before entering the restaurant? I hated the fact that the security guard was so aggressive and condescending toward us as if we have done something so wrong to come here. If he’s the face of the restaurant he should be welcoming guests not interrogating them. When we finally got “accepted” to dine in, we told our server everything and she was shocked at the whole incident. As a result, We ended up dining there for free which was not our intention but appreciate that. Our server-Kat she was so caring and sweet. Also the manager came up to us and apologized and told us he understood about the incident and told us he would prioritize us(without fully listening to our story) and after that he never came up again to check up on us meanwhile he checked up on the table beside us multiple times. I really appreciate that baro didn’t let us pay for our meal but honestly I never want to go back because we were just shaken by the whole experience. It’s unfortunate because we love the food but definitely won’t go back because of how the security guards treated us as if were entering a nightclub and picking on certain group of people. Love coming here. Amazing food and service. Always a good time. Good food, very well lit environment and not too busy. 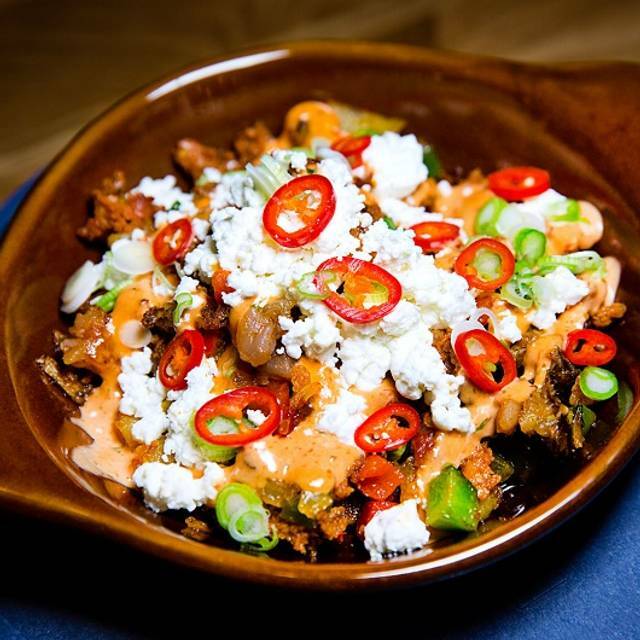 The food itself is a bit more expensive than some other brunch spots but it's worth the slightly higher price and unique Latin fusion dishes. Would highly recommend for anybody looking for a different sort of brunch experience. The wait for the food was a bit long but nothing out of the ordinary. Overall good experience. The whole fish that was on the menu was fantastic! Would like to see more options for dessert. Great brunch experience with delectable and flavourable food, good service, and great ambience. We went for brunch and even though we were in the patio it felt very spring like because of all the greenery indoors. We went for dinner tonight and absolutely loved everything. The food and the service was outstanding. The entire staff seemed to work so well together and the entire service was seamless. Our dinner from start to finish was delicious. This was our first visit but definitely will not be the last. Amazing. Really good food with excellent flavors. The Big A%* steak is incredible. Highly recommend. Classic spot. A must. Always a good meal at Baro. We went last night with a group of 7 friends. Great ambience and service and the food was South American with a twist and was excellent. Will be back in the near future. Always awesome food, drinks and service! We will keep coming back. Food was absolutely delicious! Staff was attentive and restaurant ambience ideal. Great food and ambiance, but we did feel like we were being rushed by the wait staff even though we weren't lingering. Had the fish taco, duck enchilada and their guacamole. All excellent! Also had the red sangria which was delicious. The waitress was awesome- very friendly and came around just the right amount of times. The only thing I wasn’t too happy about is that after dinner we went upstairs for dancing, and they charged $15 even though we dined there. It was also quite a young crowd of 20 year olds. Great food and value for brunch. We were celebrating two birthdays. We had a great time. My only comment would be that we were unable to bring home a second bottle of wine that we were unable to finish. Apparently our server told us that the restaurant does not have a license to allow this. It was a sincere waste of good wine. The restaurant should invest in a license to allow for guests to take home an unfinished bottle of wine. 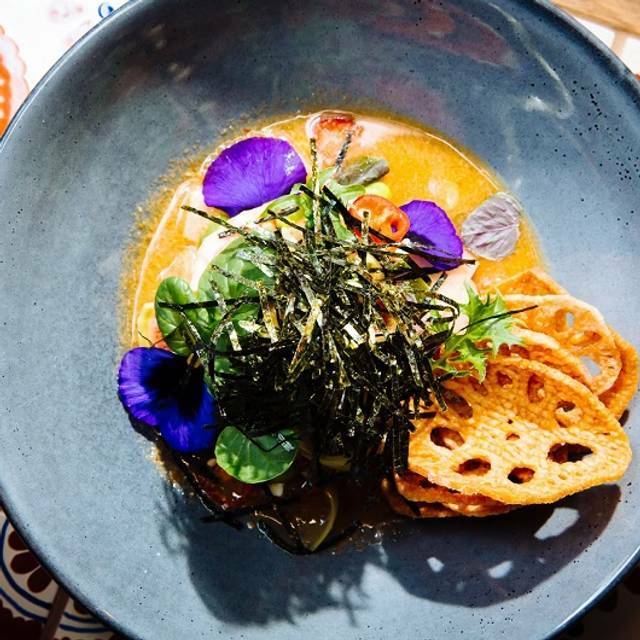 This was my first time at Baro and it exceeded all of my expectations! The service from the host to the server was excellent and the ambiance was fun but not too distracting from the meal and my company! Loved it.